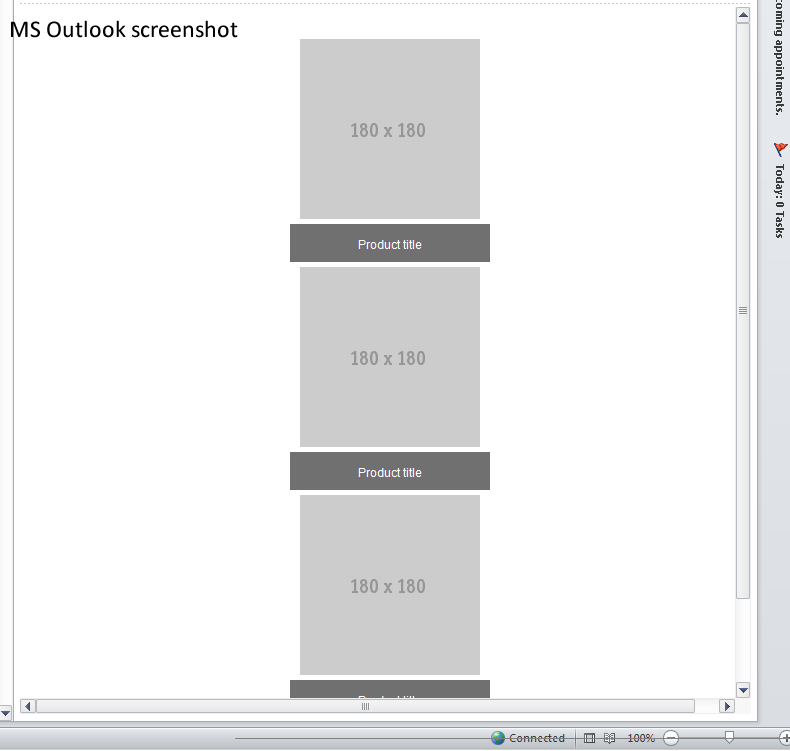 I need your help coders - anyone can suggest fixes in Outlook to render display block inline? I have 3 tables in 1 main table all align center - in other email clients it renders as 1 row, but outlook display it 1 column. I don't want to use align left for all tables - because tables display depends on the number of items in users cart / waitlisted items list. did you ever find a solution for this? Thanks! How about something like the below? Needs a little cleanup, but still gives you what you are looking for, I think. It is still three tables in one main table, but we are using some Outlook conditional code. but this left align - if there is a single item on the table. This email is intended for cart and wishlist. So number of tables vary per user. I use the esp conditional merge tag, and count the # of items and put on an if-else condition.